Knowing what type of regulator you need is paramount to proper function of your gas meter, not wasting calibration gas, and avoiding mismatching the regulator to the gas. Regulators establish the pathway and the flow for your calibration gas to the gas meter. The type of regulator depends on whether your gas meter is passive or actively pumps the atmosphere to the sensors. 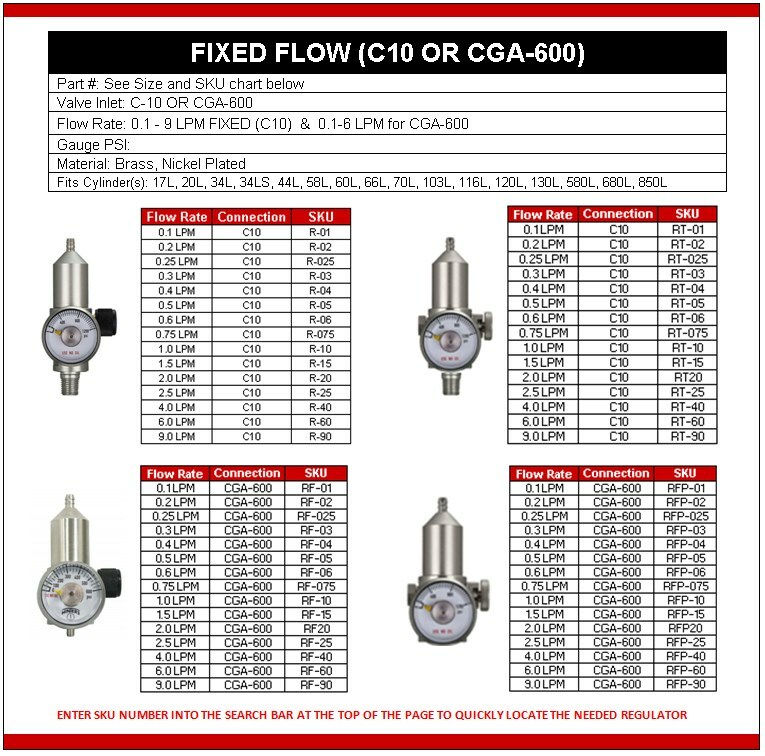 The flow rate may be pressure demand, fixed, or adjustable . Regulators may be stainless steel, brass, or nickel plated for reactive or nonreactive gases. The threading and the gender of the regulator connector must match to the calibration gas canister. Regulator specifications provide the maximum pressure that they will operate within. So, let’s go through a few basics. 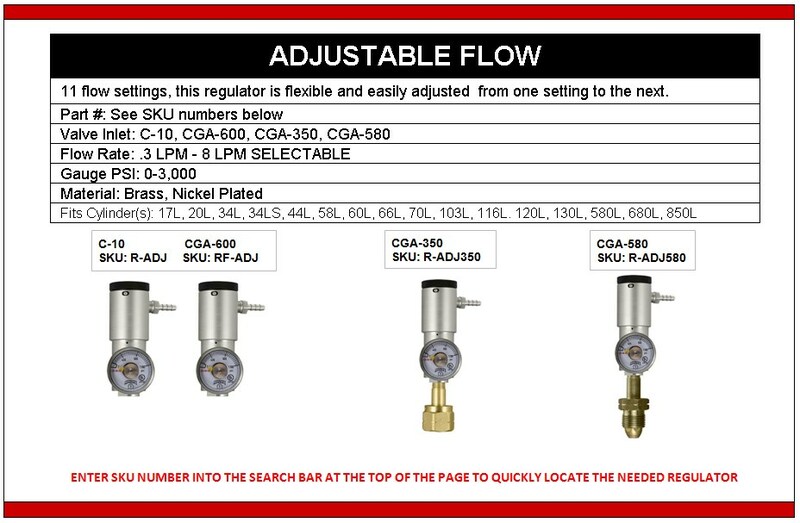 The adjustable flow regulator allows the user to vary the flow of a calibration gas to different meter requirements. They must be used within the specified ranges of both the regulator and the gas meter requirements. Typically, a user can determine the flow rate by using a flow meter like a calibrated flow meter. Adjustable flow with specific settings – this allows the user to select a fixed flow rate. However, the accuracy of the settings can be verified with a flow meter of desired accuracy. Demand flow regulators supply gas as the meter’s airflow pump demands it. The regulator works with negative pressure allowing the regulator to supply at the flow rate of the device. The demand flow rate regulator prevents mismatching the flow rate that can result in too much pump motor strain or causes an insufficient amount of gas to reach the sensors. Brass is an alloy of copper and zinc and works well with nonreactive gases. Nickel plated brass is suitable for nonreactive gases and provides the advantage of added durability. Stainless steel is an alloy, with the highest percentage contents of iron, chromium, and nickel, with a minimum of 10.5% chromium content by mass and a maximum of 1.2% carbon by mass. Stainless steel is most notable for its corrosion resistance, which increases with the increase of chromium content. Additions of molybdenum increase corrosion resistance in reducing acids and against pitting attack in chloride solutions. Stainless steel regulators are recommended for use with reactive gases such as: Ammonia, Chlorine, Ethylene Oxide, Hydrogen Chloride, Hydrogen Cyanide, Nitric Oxide, Nitrogen Dioxide, Phosphine, and Silane. Knowing these facts and ordering the correct regulator will avoid wasting time and money. Ordering from the knowledgeable online store like EGas Depot will put you in first place. 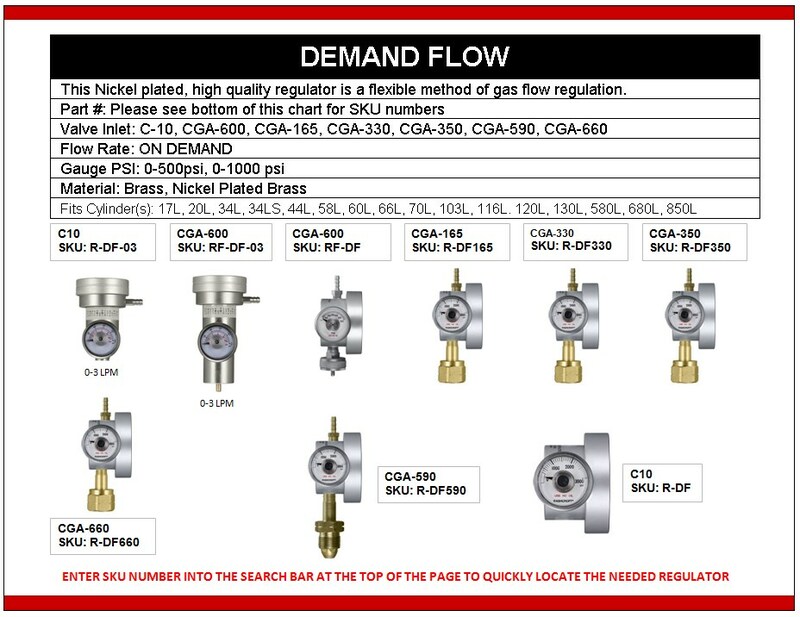 So, order your regulator, your calibration gas, possibly a gas meter or two by shopping at www.egasdepot.com or call toll free at 833-264-0730. As always, if you have any questions, let us know - we are glad to help you select what you need.